If you want the lowest mail order prices in the country as well as rapid delivery....order online through my websites. You will only receive superior quality Havana cigars that are fully guaranteed to be of the highest possible quality available in the UK...and yes we deliver anywhere and everywhere in the world ! Of course this is another reason why our customer service levels are so high, as most of the other cigar merchants online, their internet business is simply a side line where as their shop is the main business. For C.GARS Ltd it works in reverse, as our internet and mail order business is operated by a dedicated team of trained advisors online 24 hours a day every day of the year for your convenience. Buying on the internet is so fast and convenient as you can order from the comfort of your office or home 24 hours a day. You can get rapid responses to your email enquiries on the purchase that you wish to make and although you can't actually see the cigars you are purchasing we are always happy to decipher date and factory codes and select wrapper colour as best we can! If you require we'll even smoke one from the same batch and provide you with tasting notes - I know... I know... its a tough job! But somebody's got to do it!!!! Our aim is simply to ensure that our customers get 100% quality and 100% satisfaction! So here's the tips: When purchasing from an Internet cigar company ensure that they have a physical address and telephone number/fax number clearly displayed on their website and check that the telephone number actually exists. PO Boxes are always suspicious. What country are you purchasing from? We believe the UK and indeed English Market Selection (EMS) cigars are of the finest quality in the world. Other countries do have excellent quality Havanas, as well as excellent cigar merchants, but make sure you know which country you are dealing with. As some countries do have lower grade Havana's than ours in our opinion. Further most other countries have little or no quality control whatsoever. Does the cigar merchant give advice and tasting notes online and indeed by telephone? Are they happy to call you back so you are not wasting your money on the phone call? If not, it's a sign for caution. The vast majority of our cigars are English Market Selection (EMS), supplied by Hunters & Frankau, the official importers and distributors for the United Kingdom. The exceptions are particularly in the Aged, Rare and Unusual category. Sealed boxes or not? Attractive though they may seem, I would personally NEVER purchase a sealed box of cigars from anywhere in the world, as you simply don't know what you are going to find inside. I kid you not, before I was a cigar merchant I always bought sealed boxes and it's a hit or miss affair. You can easily find lousy wrapper colour or far worse tobacco beetle, rendering your purchase useless. All Havana cigar boxes imported to the UK are opened and inspected by Hunters & Frankau and quality controlled accordingly. C.GARS Ltd does a mirror quality control check when the cigars arrive in our humidor, if they don't make the grade, we return them to the importers. This ensures that our customers are only sent the highest quality Havanas possible. I seem to have been contacted more and more over the last year by customers who purchase from me and elsewhere requesting for empty boxes which I'm quite happy to send regardless of whether the cigars have been purchased from me or not. But I have to ask myself and perhaps these people should ask themselves, why won't a cigar merchant ship an original empty box when you have purchased the cigars from them? The short answer is there is no reason whatsoever. So if you are purchasing from a cigar merchant who refuses to send you the original empty box, I would be enormously suspicious as something simply doesn't add up. In fact I send 1000's of empty boxes all over the world and have never lost an empty box to the best of my memory! Does the Cigar Merchant offer a no quibble guarantee? Is he happy to give you your money back if you're not satisfied. Is he happy to replace the cigars if they arrive damaged? Or refund your money if they don't arrive at all! These are all things that you should be asking before making your purchase and if a full and comprehensive guarantee is not provided then you could simply be throwing your money away. Lower prices can indeed be a terrible false economy! Remember… you get what you pay for!! 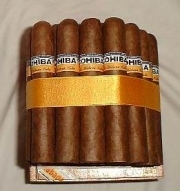 Always ask the cigar merchant where does he store his Havana cigars? And at what temperature and humidity? Correct storage and conditions are essential for Havana cigars to be in optimum condition. 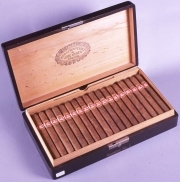 If they are a UK cigar merchant have their staff been trained in the manufacture, storage and service of Havana Cigars? 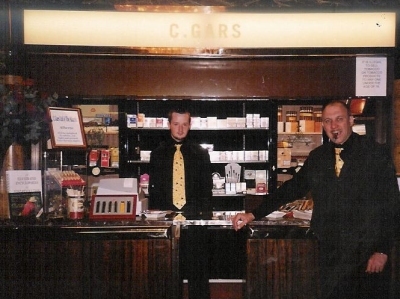 C.GARS Ltd staff have been trained at Hunters & Frankau Cigar School. If the cigar merchant is an internet only company can you actually arrange to visit their premises? C.GARS Ltd are happy to see clients by appointment at our London office/showroom. As you can see its as important to 'know your cigar merchant' as know your cigars!